I’ve had an awesome summer. Enjoying a late-March trip to South Africa, then a month mid-year in Europe – taking in Goodwood and the Le Mans Classic. I’ve had an awesome summer. All of 2016, I mean. Enjoying a late-March trip to South Africa, then a month mid-year in Europe – taking in Goodwood and the Le Mans Classic – makes me feel like some kind of sun-chasing, exhaust-sniffing jet-setter. And I guess it looks that way, too. 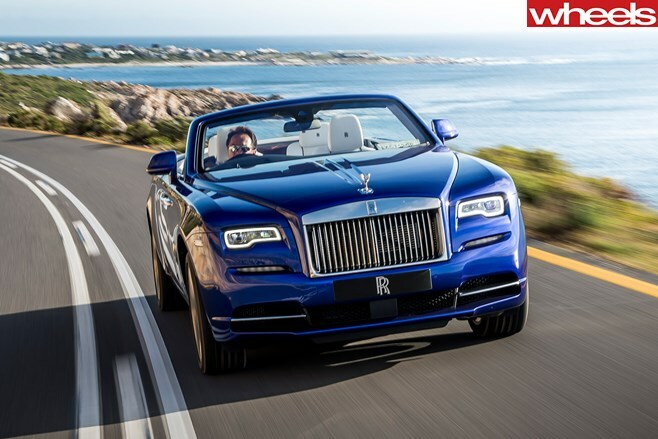 Rolls-Royce had chosen to launch its Dawn convertible against the rough-hewn beauty and vast skies of South Africa’s Western Cape winelands, where we stayed at the estate of London-based billionaire jeweller Laurence Graff. Swanning in glorious sunshine along False Bay in the $750,000 Rolls Royce Dawn, the leather and open-pore timber interior somehow transcended mere motoring, with an ambience more like an outing in a classic speedboat or a vintage aircraft. Better still, Delaire Graff Estate is almost next door to L’Ormarins, the estate owned by tobacco-turned-luxury goods tycoon Johann Rupert and home to his Franschhoek Motor Museum. Rupert has more than 200 cars, about 80 of which are displayed in its four beautiful halls. It’s a neatly curated collection, with everything from early Bugattis, late Ferraris and Le Mans racers (including a Jag D-Type, Ford GT40 and Porsche 956) to a super-rare McLaren M6 GT, Bruce McLaren’s short-lived road-car project. I was in South Africa for four days. By my wife’s maths, that equalled a month in France to make us even. I went first to the Goodwood Festival of Speed – only six hours, and it rained throughout, but I scored a ride up the hill in a Ferrari 488 Spider. That wasn’t the summer highlight, though. A fortnight later, I drove with a couple of mates from Paris to the Le Mans Classic. A bucket-list event for me, the biennial LMC was a smorgasbord of every imaginable motor racing sight, sound and smell. Some 400 racing and sports cars from 1923 to 1979 (plus a special class for 1980s Group C) are divided into six classes, with 45-minute races cycling through day and night. Drivers range from raggedy-arsed urgers and wealthy gentlemen to former 24-Hour winners. No matter who you are, there are only two ways to race on the full Le Sarthe circuit at Le Mans. This is the other one. Off the track, in baking 28-degree sunshine, more than 100,000 spectators wandered among 8000 classic cars representing marque clubs from all over Europe. It was a petrol-head’s Woodstock, with all the cool classic cars you could possibly smoke. But for all that, the real highlight of my summer started the next day. In a rental car. My wife and I spent a week in Sardinia, on the Costa Smeralda. We stayed in an inexpensive little resort, right opposite an obscenely expensive one where there were parked Lamborghinis and Ferraris and such. We rented a Citroen C3 Picasso, in which we dawdled wherever and whenever. We plodded around beaches, did day trips to villages, snoozed in the seats, played my wife’s favourite, awful music really loudly with the windows down. I’d have swapped only the last part – for a cassette deck and Elvis Costello – because this was the simple freedom of a car and a coastline, just as it was when I was 17. And I fell in love all over again.